Rich media is a digital advertising term for an ad that includes advanced features like video, audio, or other interactive elements that encourage viewers to more fully engage with the content. While text ads sell with words, and display ads sell with pictures, rich media ads offer a wide variety of ways to more effectively involve an audience with an ad. 1-pixel border must be visible in ad if background is white (#ffffff) to differentiate from content area. Initial ad is fixed at open dimensions upon impression load, without capping. Animation in initial ad plays once with option to add replay button. Initial ad must contain clear and visible close or collapse button. Collapsed view must contain expand action to open Initial Ad. Must be served through a 3rd-party ad tag. Ad tags can be created in-house through a 3rd-party rich media vendor. Apply z-index at or above 999999 to guarantee page elements will not overlay expanded portion. Expansion cannot autoplay. Must be user-initiated. Must be tied to an inline unit with functioning Play/Expand button present. Completed assets must be sent to Creative Solutions for ad tags to be built internally. (NOTE: Client-supplied ad tags will NOT be accepted). If needed, the Creative Solutions design team can build out the assets for the client. Initial Ad must contain a close or collapse button, which should be apparent through name of function, not represented by an 'x' alone. Initial Ad remains open upon first view of the ad capped at once per user per day. Collapsed unit appears upon additional viewing of targeted web page. Upon close of Initial Ad, collapsed view appears. Upon click of collapsed view, hover appears. Upon close of collapsed view, ad disappears entirely. Capped at once per user per day. Unit appears below masthead and nav bar, before page content. Creative floats in a max ad space of 1280 x 600 with a default black background to fill space. Background is customizable with single hex color value. Animate HTML5 creative must be responsive in order to properly serve across all devices. Click here to view where to apply this setting in Adobe Animate CC. Creative scales proportionally to fit device. Completed assets must be sent to Creative Solutions for ad tags to be built internally. Any audio must be user-initiated. Video floats in a max ad space of 1280 x 600 with a default black background to fill space. Video scales proportionally to fit device. Video assets must be sent to Creative Solutions for ad tags to be built internally. (NOTE: Client-supplied ad tags will NOT be accepted). Auto-expand capped at once per user per day. Run time limit: 10 seconds max. Ad tags can be created in-house through a 3rd-party vendor. Must use appropriate PSD template provided above. Appears on both left & right sides of content area. Client-supplied 3rd-party ad tags are NOT accepted. *IMPORTANT NOTE: Creative must have a dark enough background to distinguish it from the site or have a 1-pixel rule between the rails and the page content. Must use appropriate PSD templates provided on this page. Creative MUST be static. No HTML5 animation will be accepted. Ad units change there theme/creative based on user interactions. Divided into 3 components - Half Page, Left Reskin Rail and Right Reskin Rail. Interactivity exists in the Half Page ad piece where the user can click on or hover over thumbnails to trigger thematic changes in all 3 components. A mimimim of 2 sets of creative is required. The maximum allowed is 4 sets. This unit can have up to 8 creatives (4 Reskins and 4 Half Pages). A premium serving fee will be required. Please contact Creative Solutions for additional information, including file size limitation. *IMPORTANT NOTE: No spec/mock creatives will be provided for this unit. Sold campaigns only. 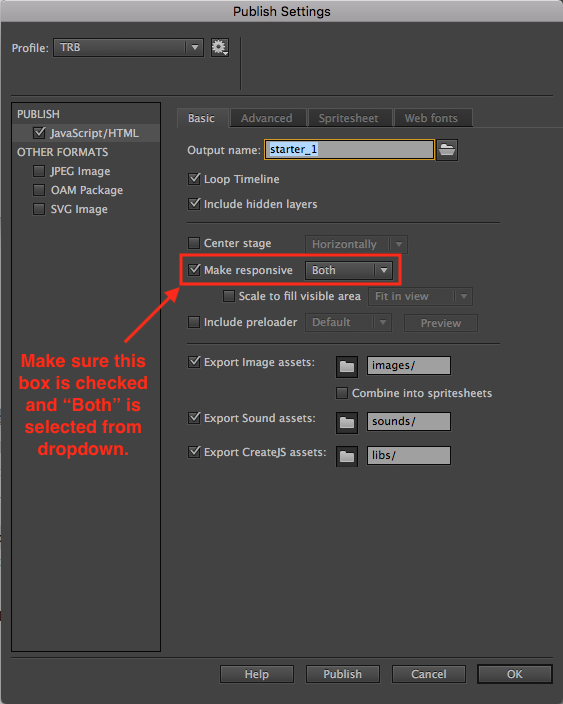 If a layered PSD is provided, instructions on what design elements to omit at smaller breakpoints (via numbered layers) are required. PSD files will provide the best flexibility when the ad transitions between sizes. JPG/GIF/PNG assets are not ideal. No HTML5 files will be permitted, only static files. PSD files may be created by advertiser or Creative Solutions design team. Due to the size and complexity of this unit, an additional serving fee will be charged. Client must provide layered PSD file with required instructions on what design elements to omit at smaller breakpoints (via numbered layers). For files to be built by the Creative Solutions design team, client must provide all assets (logos, artwork, copy, URLs) and detailed instructions necessary for the design of the unit. Collapsed portion can serve an optional "teaser" video that will autoplay on mobile. If "teaser" video is provided, it must be an MP4 file, can be no longer than 15 sec, and should have no sound. NOTE: Any audio track provided will be muted per mobile advertising standards. Expanded portion can serve additional full videos. Client can supply either a raw video file (MP4, MOV, AVI) or a YouTube Video ID. NOTE: Video metrics for Youtube Video ID will need to be obtained by client from the YouTube account in which the video is served. Inclusion of video is an optional feature and not a requirement. Since additional time is required to complete this unit, the lead time will be determined by the Tribune Publishing Creative Solutions team on a case-by-case basis. HTML5 files are not permitted, only layered PSD files. PSD files will provide the best flexibility when the ad transitions between sizes. JPG/GIF/PNG assets are not ideal. If JPG/GIF/PNG assets are provided, an additonal serving fee will be charged. Logos and content in the corners are likely to get cut off. Main content should be in the center of the video to ensure it will not get cut off at different browser widths. A completed .psd template & video assets must be sent to Creative Solutions for ad tags to be built internally. (NOTE: Client-supplied ad tags will NOT be accepted). * NOTE: Creative Solutions will work with the advertiser to include any rich media functionality not included in the above list. * NOTE: Not all vendor tags can run on our sites. However, Creative Solutions will test any 3rd-party ad tag. Capture everything at once with 360 Video! A truly immersive experience that exposes the advertisers initiative based on viewer engagement. Our 360 Video is available across all platforms desktop, tablet & mobile. Cutting out the old and breaking in the new with Vertical Video! Upgrade your mobile display with a high impact video execution. Advertising on mobile is the modern way to connect directly with our viewers. A top-notch experience, delivering brand awareness that our markets expect. This elegant execution covers ever pixel of the browser and upon user engagement the display seamlessly rolls up and mutes simultaneously with user scroll.